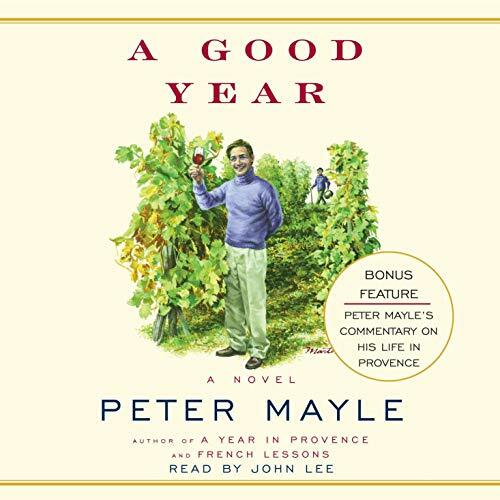 Peter Mayle once again returns to the beautiful but complicated world of Provence, to find that the highly competitive boutique wine trade has hidden depths that cannot be hidden by the sunny grape arbors above the ground. 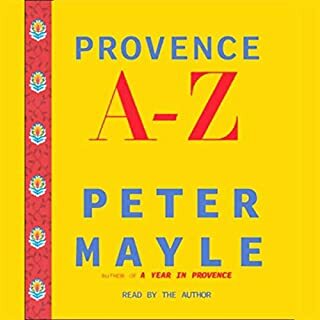 Mayle's usual fish-out-of-water British protagonist comes to inspect a Provencal vineyard left to him by his newly-dead uncle. While handling the details of the estate, he is distracted by two gorgeous women, but not distracted enough to overlook that his caretaker desperately wants the vineyard's land. When a beautiful young Californian arrives on the scene, with both a credible claim to the vineyard and a fount of viticultural knowledge, the plot begins to twist and curve into elegant complication and release. Entertaining, funny, superbly written, and superbly read. Mayle at his best. We loved the movie and watch it on a regular basis. It so happens the producer of the film starring Russell Crowe is from my hometown of Greensboro. I understand the movie failed miserably, yet it remains one of my wife and my favorite films. The characters, the ambience of the French estate, the haunting childhood memories, beautiful cinematography and the humor draws us in everytime. So I am not surprised the book is different, but this is one case where hollywood made the story better. Having listened to the story with such high expectations I can only give it 3 stars. I readily admit my prejudice. Still its a wonderful story and certainly worthy of your time. A delightful listen with descriptions and dialogue that made me laugh out loud. 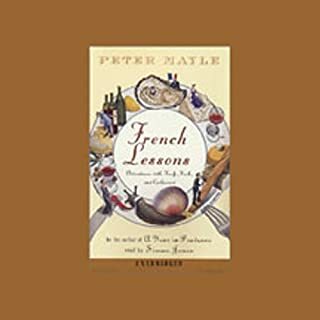 Peter Mayle pokes fun at the English, French and Americans through his knack for creating characters that are both stereotypical and believable at the same time. You may not know people exactly like these characters, but by the end of the story you?ll wish you did. 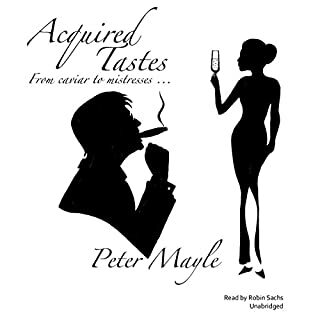 This is a very well written book that's resulted in an excellent audiobook. The story is so well constructed and the details so well described that you become a part of it. The reader also does a great job. Although not necessary, if you enjoy wine you'll find this story much more enjoyable. It centers around an inherited winery and some strange happenings. 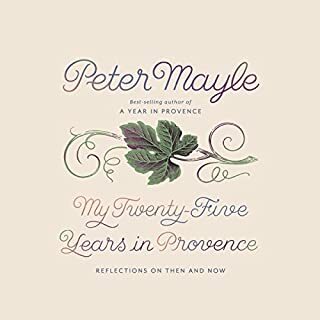 A Good Year and a Great Listen! My wife suggested I read this book so I did. It was an enjoyable listen. What I enjoyed most was listening about small town life, it could have been anywhere, this happened to be in France. Living in the city, dropping out and living a life like this is attractive. Not being a French speaker most of the French in the book went over my head but I still felt I knew what was going on. It protrayed the French in a friendly light, not something you always get. The wine perspective was interesting. I think mostly for me, I grew up in a small town myself, I understand all that goes with that and this book brought some of that out. 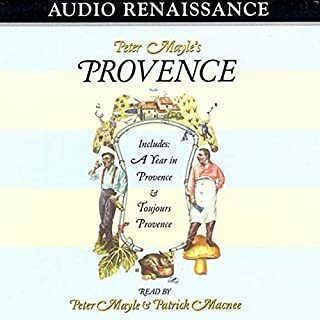 It made me think a trip to Provence at some point might be quite fun! I found this purchase completely worth while! I wasn't very keen on the narrator, but he does great accents and soon I was hooked. This novel took me away, as good books should. The movie seems like ridiculous fluff after having read and listened to the novel. A Read to Accompany a glass of wine. A bit slow but fun and worth it if you love wine. An interesting story. I thought I'd submitted a review of this already! Not as good as Hotel Pastis, John Lee fantastic! Very evocative of its setting - I could almost feel the sun on my back as I listened. A good little plot/mystery, interesting characters and fab narration.